If you are looking for a fantastic family beachside holiday destination with a laid back, casual vibe – than look no further than Bundaberg, Australia. Well known for Bundaberg Rum and the Mon Repos turtles, Bundaberg, or Bundy as the locals like to call it, is so much more than that. 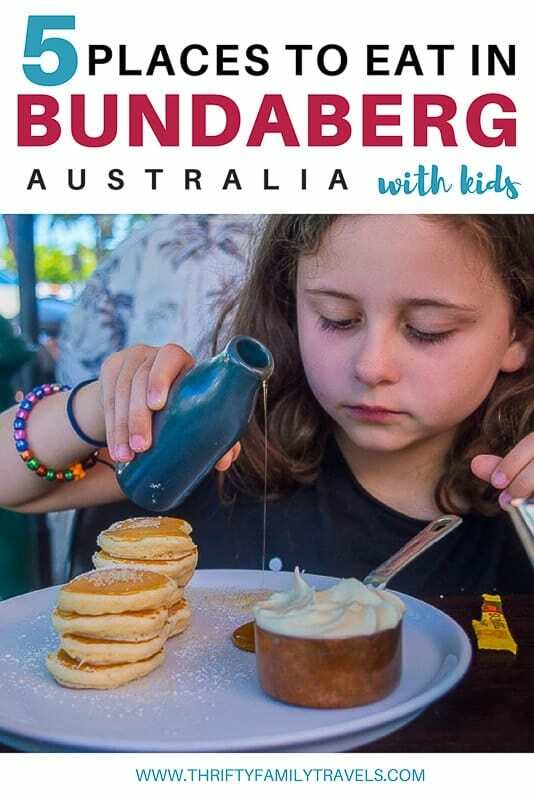 There are so many wonderful things to do in Bundaberg, from exploring the beautiful Bundaberg beaches, eating delicious local produce and visiting the Southern end of the Great Barrier Reef. Being a Queensland girl my entire life and living “down the road” in Brisbane, it has always been on my to do list to visit Bundaberg to see the Mon Repos turtle centre during nesting and / or hatching season. 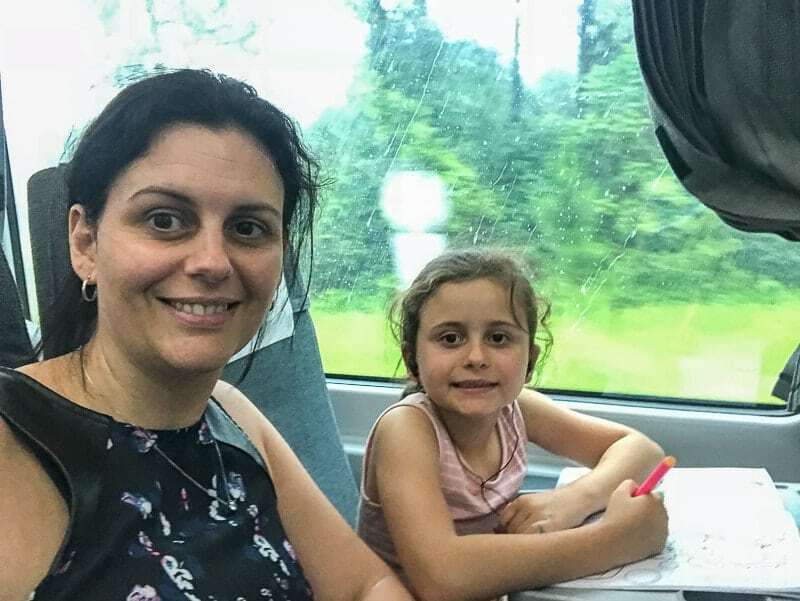 Once Myla came along, I thought it would be fun to take her on the Tilt Train from Brisbane to Bundaberg – I mean isn’t the journey part of the fun? 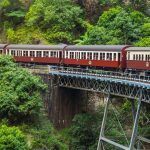 So I was super excited when Queensland Rail invited us for a ride on their Tilt Train and the guys at Bundaberg Tourism agreed to show us around their beautiful region over a few days. This post is designed to be a full guide for anyone visiting Bundaberg. 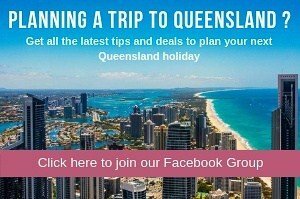 It will cover all the great things to do in Bundaberg (including the beautiful Bundaberg beaches, recommended Great Barrier Reef tours and the popular Mon Repos Turtles), where to eat in Bundaberg (we cover some of the best Bundaberg restaurants), the best family friendly Bundaberg accommodation as well as the best way to reach Bundaberg, particularly for families visiting from Brisbane. 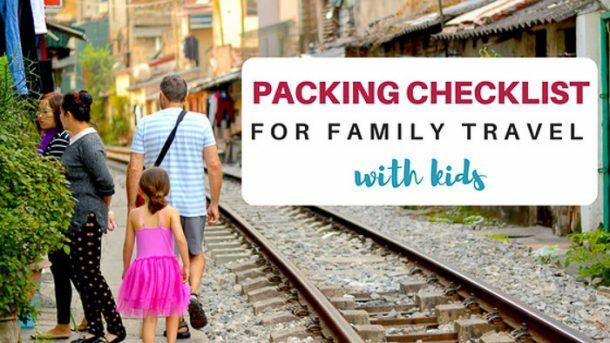 1.17 Download our FREE Printable Packing Checklist!! 1.18 We will email you a link to your FREE packing checklist. 6.1 You have Successfully Subscribed! 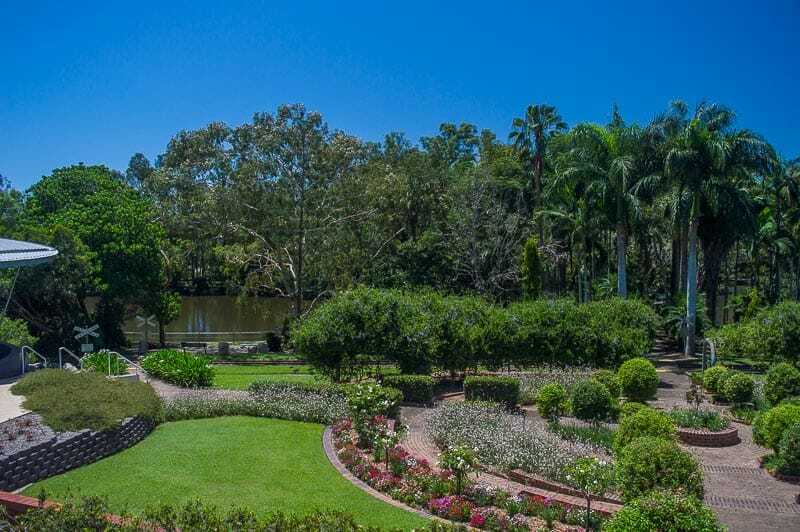 The Bundaberg Botanic Gardens are spread out over 27 hectares and include a Japanese Garden, Chinese Garden, a lake, a number of walkways and home to over 10,000 plant species and 100 species of birds and is lovely place for families to spend a few hours. 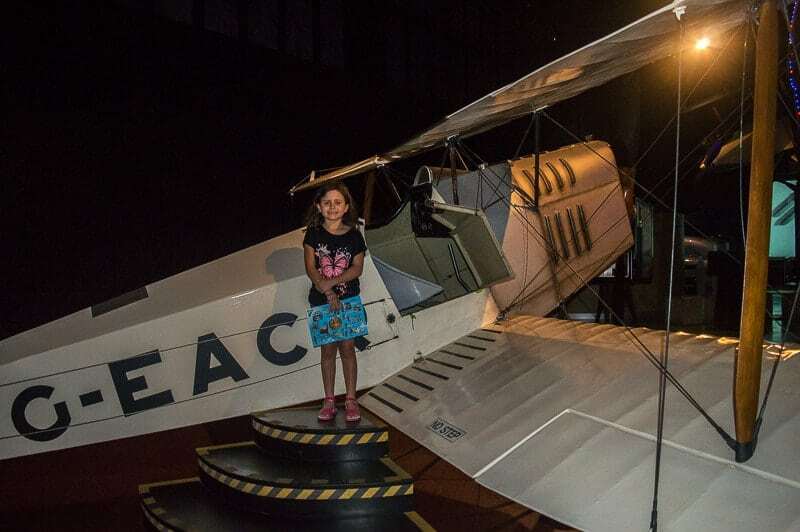 The gardens are also home to 3 different museums – the Hinkler Hall of Aviation (read more below), Fairymead House & Sugar History Museum, an informative attraction educating visitors about the Bundaberg sugar industry in the heritage-listed Fairymead House. I recommend going on a Sunday if you can, as on Sundays the Australian Sugarcane Railway conduct train rides throughout the gardens. Other facilities inside the gardens include barbeques, toilets, picnic tables, playground and café. You can also feed the fish, ducks and turtles in the lake. These guys are pretty friendly, we had been on the boardwalk no more than a minute when we were swamped with about 7 turtles and numerous ducks looking for a bit to eat. You could easily spend the entire day here at the gardens exploring the various museums, gardens and playground. The gardens are located at 6 Mount Perry Road, just 2 kilometres north of the CBD and are open daily. Read about our guide to South Bank, Brisbane with Kids. Located inside the Botanic Gardens is the Hinkler Hall of Aviation as well as the fully restored home of Bert Hinkler. The museum celebrates the life and achievements of the famous aviator Bert Hinkler who was born and raised in Bundaberg. The Bert Hinkler museum gives an insight in early aviation and the contribution made by local pioneers via various family friendly exhibits. 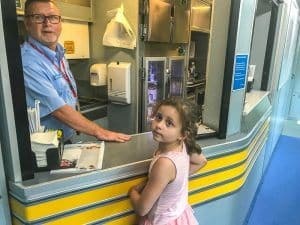 Kids will love the glide simulators, flight simulators, sitting in the cockpit of the replica Arvo Bay aircraft, interactive computer screens, short documentaries and other various artefacts. Just outside the museum you can visit Hinkler’s home. The home was relocated from Southampton in 1983 and restored to museum it is today. It is quite interesting walking through the home from by a bygone era. To fully explore the museum and read all the displays, I would allow a few hours. However if you kids are only interested in the interactive displays 2 hours will be plenty. The museum is open daily and entry is $18 per adult and $10 per child (ages 4-17 years). Family passes are available for $40. Did you know there is even a Bundaberg Zoo? Although it is small, the Alexandra Park Zoo is a great free attraction to take the kids to in Bundaberg. As well as the zoo there is also a playground and large open space for the kids to run around in. There are some great Bundaberg parks for the kids and Alexandra Park in one of the best. The zoo has a small number of animals including emu’s, dingoes, wallabies, reptiles and Tamarin monkey’s from South America. The zoo is free and fairly small – it will take you no more than 10 minutes to visit all the enclosures. The playground has multiple areas which cater for little ones right through to the big kids. Play equipment includes climbing structures and swings. There is also plenty of pathways for the kids to ride their bike or scooters. The entire area is shaded by lovely large trees. Myla loved the playground here and could have spend hours. It was probably one of the best playgrounds we came across during our time in Bundaberg. Alexandra Park is connected to the Burnett River Boardwalk, where you can take a lovely walk along the Burnett River. The zoo is located on Quay Street and is open daily. 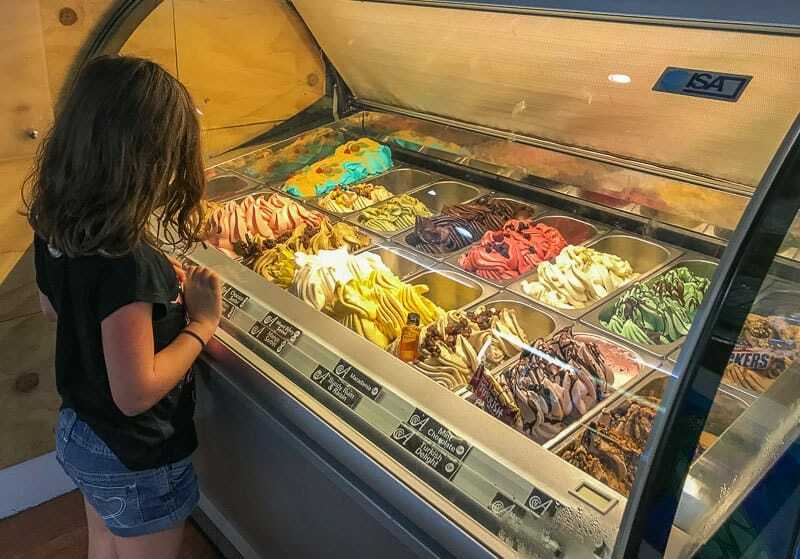 Definitely a great place for the kids looking for fun things to do in Bundaberg. The Bundaberg beaches are among the top Bundaberg attractions. 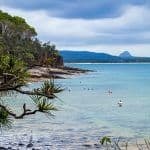 With so many beaches to choose from you may find it difficult to choose which ones to visit so here is a quick run down of the various beaches near Bundaberg. The main beach area of Bundaberg is Bargara Beach. Bargara beach is located only 13 kilometres outside of the city area of Bundaberg; is a popular base for travelers visiting the Bundaberg region (this is also where we stayed). 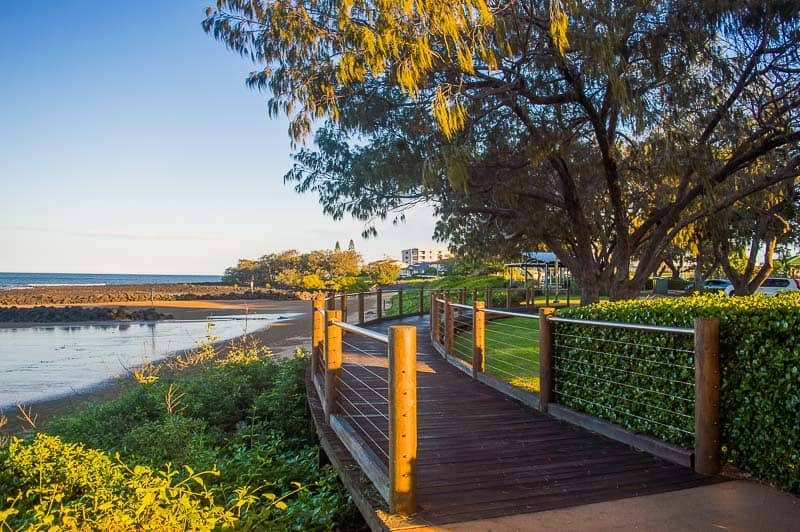 Along the esplanade you will find much of the Bargara accommodation and dining options, lovely beaches and great playgrounds (including the large turtle inspired playground). Despite being the “main” beach area of Bundaberg – you won’t find the equivalent to Surfers Paradise here. The area is quiet and peaceful and has a lovely small town coastal feel to it. 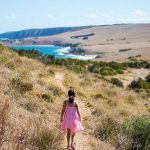 I just loved it here and would highly recommend it for families seeking a beach holiday. We in fact spent 2 evenings out of the 3 we were in Bundaberg along the Esplanade eating fish and chips on the manicured lawn, whilst Myla played at the playground with the local children. Kelly’s Beach – there are 2 swimming areas here – the seafront and the lagoon. This is an ideal spot for non-motorized water sports. The Basin – located at the northern end of Kelly’s beach, the wall of rocks makes a calm beach. It’s a fantastic place for snorkelling with great marine life in a swimming pool like ocean. There are also plenty of picnic beaches close by and an awesome kids playground. Myla love the playground here. 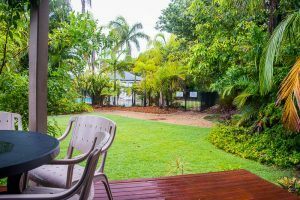 There are quite a few accommodation options here and would be an ideal place to stay – still within walking distance to the main area of Bargara. Mons Repos Beach– famous for the Bargara turtles is also has a lovely beach, although it is non-patrolled so avoid in rough conditions. During the months of October to April the beach is closed during the hours of 6pm to 6 am due to turtle nesting season. Keep reading below for information about seeing the turtles at Mons Repos. Woodgate Beach is 16 kilometres of secluded white sandy beach and due to being protected by Fraser Island, has calm waters year-round. Woodgate Beach is popular for Bundaberg activities such as fishing and whale watching right offshore. We didn’t make it to this beach but it comes highly recommended by the locals. The most beautiful beach we visited during our time in Bundy. This is the beach to be! 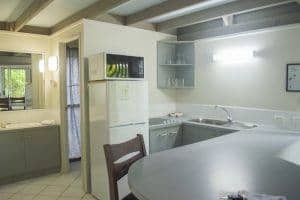 Although there is limited accommodation here so perfect for a day trip or two during your Bundaberg holiday. Situated at the river mouth, Elliott Heads has both calm water and surf swimming available. The beaches are patrolled, the sand is white and there are rock pools for exploring. There are also a number of picnic spots with BBQ and toilet facilities. The beach is a popular spot for water sports such as kayaking, stand up paddle boards, kite surfing, sail boarding and jet skiing as well as fishing. The Elliott Heads Holiday Park is the only available accommodation and caters for campers, caravans, and has beachfront cabins. Also by the river mouth is Driftwood Cafe which I hear serves great fish, chips, burgers, coffee and ice creams. There is a small playground here too. At Innes Park you have the option of swimming in either the beach or Palmers Creek. 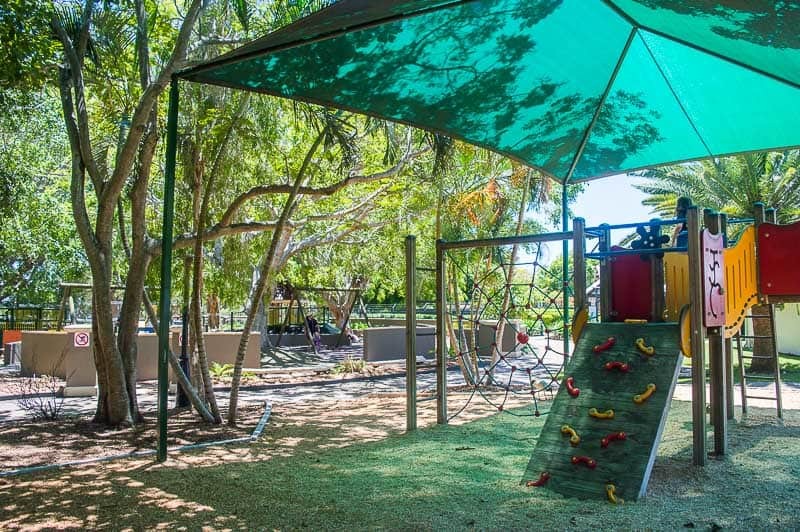 Other great family facilities include playgrounds, a skate park, beach volleyball and a large open area as well as toilets, picnic areas and BBQs. From the shores of Coral Cove you can explore popular Barolin Rocks which is great for snorkeling with its colourful coral and fish. Directly from the shore you will be able to see colourful fish, coral and if your lucky a turtle or two. A little further out, but still accessible directly from the shore, is the Barolin Rocks Dive site which is part of the 11,000 hectare Woongarra Marine Park. Here you will see an array of marine life including turtles, rays, sea snakes and wobbegong sharks. There are two main beaches here – Oakes Beach and South Head. The beaches also have playgrounds, skate bowl, picnic areas and BBQs. The Bundaberg Marina is also located in Burnett Heads – keep reading below for more information about the Marina. 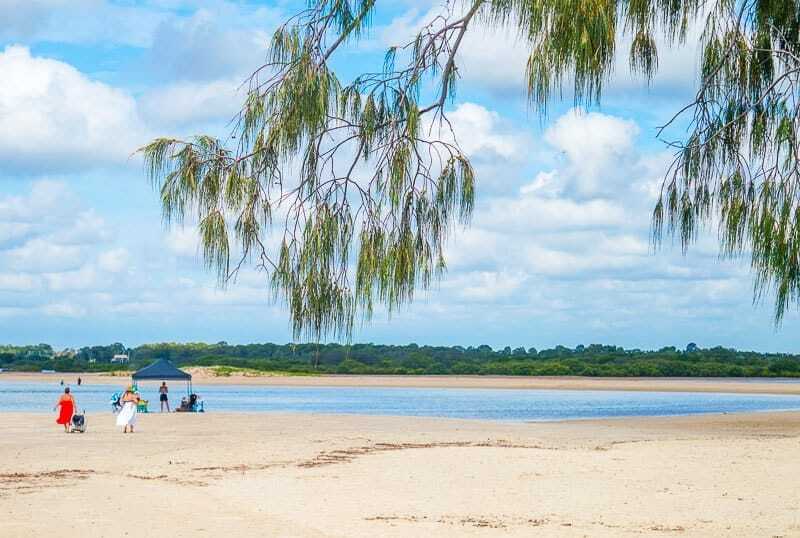 Located north of the Burnett River and 21 kilometres from the Bundaberg CBD is peaceful seaside town of Moore Park. There is approximately 20 kilometres of golden sandy beaches here perfect for 4WDriving, swimming, fishing and surfing. Love gorgeous beach holidays? 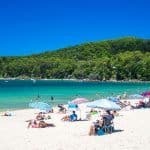 Check out our post on Noosa with kids. For some goods views across the region go up to Hummock Lookout. 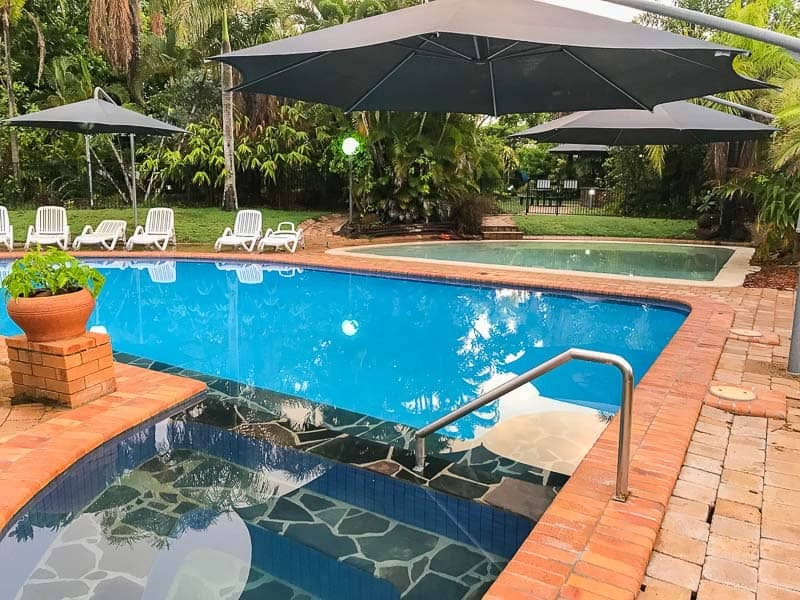 Located just off the road to Bargara, this hill only 96 m above sea-level, offers 360-degree views to the ocean, the sugar fields and the smoke stacks of the Bundaberg Rum Distillery. For all animal and nature lovers, a visit to the Mon Repos Conservation Park, the largest Loggerhead Conservation rookery in the southern hemisphere is a must. From November to March tourists flock to the area to take part in a ranger guided tour of the nesting and hatching turtles during the Mon Repos turtle season. During the nightly Mon Repos Turtle Encounter, visitors learn how once a year, the mother turtle drags her large frame up the beach, digs a large burrow and then carefully lay her eggs. The entire process takes around 90 minutes Then a few months later, during the months of January to March, tiny hatchlings take their first tiny steps to the shore. Some visitors come once to see the mother turtles lay their eggs and then again to see the baby turtles scurry down the beach. The Mon Repos Turtle Centre is open daily during the turtle season between the hours of 8 am to 5 pm or Monday to Friday between the hours of 8am to 3.30 outside of turtle season. Entry to the centre is free, however the Mon Repos Turtle Encounter is $6.45 for children and $12.40 for adults (15 years+). Family passes are available for $29.75 (2 adults and 2 children). The guided Mon Repos turtle tours include the turtle centre, talks by the rangers in the Amphitheatre and a tour on the beach to see mother turtles laying eggs or baby turtles hatching and tottering off to the ocean. For those participating in the turtle encounter you need to arrive to the centre by 6.45 pm for a 7pm start. You are placed in a group and then the rangers go down to the beach in search of the turtles. 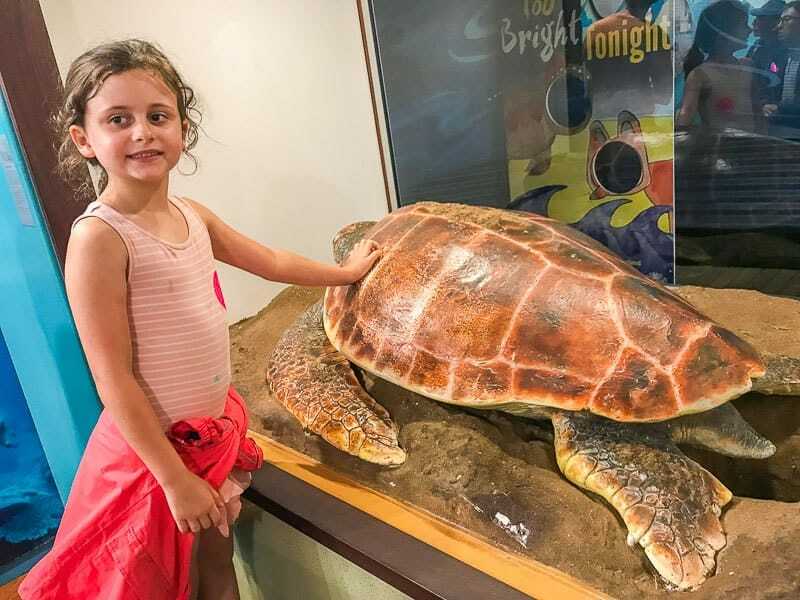 Whilst the rangers are on the beach, visitors are encouraged to go through the centre and learn about the turtles via the various displays. There are also ranger shows and videos presented in the amphitheatre outside. On the night we went they also conducted a mini eco rangers talk – where they got the kids together and told them all about the turtles. When the turtles arrive, the rangers call your group and you are invited to go down to the beach. Just remember turtles are wild animals and they do not arrive on the beach on queue so there it is possible that you could be waiting around for hours or there is the possibility that they won’t arrive at all. On the night we visited, at around 9 pm we were invited down to the beach. Unfortunately by the time arrived on the beach we were advised that the turtle had decided to return to the ocean without laying any eggs. We then all sat up high on the sand dunes waiting for another turtle to come. Around 10 pm, Myla had understandably had enough and we decided to call it a night without seeing any turtles. We late discovered that one turtle came to the beach at 1am – so I am glad we did not wait any longer. It really is luck of the draw though, as the night before apparently 3 turtles arrived on the beach between 7pm and 7.30pm. If you have your own transport, the best way to get there is to drive. However if you do not have transport you can always book onto the Turtle Express which is a shuttle bus which will pick you up from your accommodation and return you at the end of the evening. Click here to make a booking for the Turtle Express. If you would like more information about the Mons Repos Conservation Centre or the Turtle Encounters you can visit the Department of National Parks, Sport and Racing website here. Bookings can be made via the Bundaberg Tourism website. 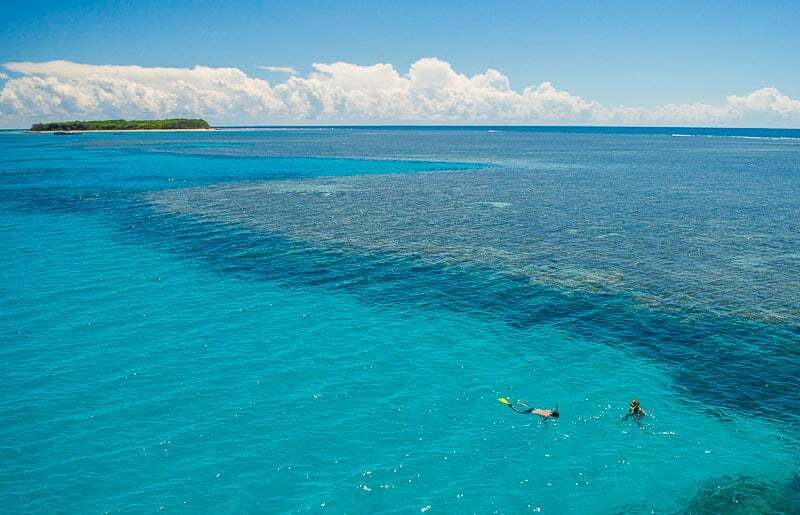 The Southern Great Barrier Reef is the official start of the world famous Great Barrier Reef and Bundaberg is the closest departure point where you can experience its unspoilt beauty. Join one of the Bundaberg reef tours where you can snorkel or scuba dive and see coral reef as well as marine life such as fish, turtles, dolphins and manta rays. 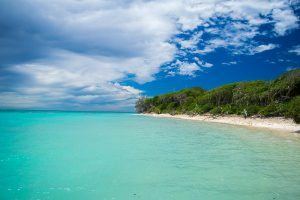 The best way to experience the Southern Great Barrier Reef is via Lady Musgrave Island or Lady Elliott Island both stunning islands off Bundaberg. Both can be experienced via a day trip or can you can choose to stay on the islands for longer. During our visit to Bundaberg we visited Lady Musgrave Island with Lady Musgrave Experience. We had an absolutely fantastic time and this was by far our favourite activity during our time in Bundaberg. The crew onboard where fantastic – great with the kids too. This is a must do when coming to Bundaberg, in fact this is reason you should come to Bundaberg!! We started our day bright and early, arriving at the Bundaberg Port Marina for our 7 am departure. We boarded the very comfortable catamaran. The catamaran is 3 levels, has large leather seats on the main deck as well as sun deck up top. During the 2.5-hour ride to the island we were served morning tea and some documentaries on the reef played. It is recommended to take sea sickness tablets as many people were very ill on the way over. I took some ginger tablets and even I felt a little whoozy. We soon arrived at Lady Musgrave Island and she is stunning!! The island is surrounded by a coral reef with a circumference of 8 km creating a gorgeous calm water lagoon. We all boarded the glass bottom boat and were taken over to the island. From here we had a guided tour around the island. Lady Musgrave Island is a significant island for the breeding of thousands of birds. The main birds are the Noddy Terns and the Bridled Terns. We were so lucky during our visit to the island that breeding season was in full swing and the island was full of birds, nests, eggs and lots of gorgeous baby chicks. There is nothing else on the island apart from gorgeous sand and crystal clear water. There is no accommodation but you are permitted to camp here – which would be just amazing!!! We then boarded the glass bottom boat again and were given a tour of the reef. From Lady Musgrave Island it is possible to see whales, turtles, manta rays, dolphins, over 1200 fish species as well as hard and soft corals. We were super lucky to see numerous turtles during our tour – maybe around 7 – they are such graceful gorgeous creatures. When we returned from our glass bottom boat tour lunch was served. The guys at the Lady Island Experience put on a delicious buffet lunch. All the food is sourced locally from Bundaberg and includes local Prawns, Ham, Roast Beef, Chicken, a variety of green salads, pasta salad, coleslaw, bread rolls – it was delcious. There are also Gluten Free options available on request. After lunch we got into our snorkeling gear which is all provided by the guys at Lady Island Experience. They even provide noodles and life jackets for less confident swimmers (like me!). We joined one of the crew who had a floating device int he water which you could hold onto and she pulled us along. This was great for having Myla in the water as I able to snorkel quite freely whilst knowing Myla was ok – mind you shes a way better swimmer than me! We didn’t venture too far during our snorkelling but we did see some beautiful coral and fish. For divers, you can take the optional extra scuba dive. Even if you have never dived before, you can join an introductory lesson. Scuba dives start at $70 per person. On the way home, people were once again quite sick – so I recommend taking more sea sickness pills. Myla and I headed out to the sundeck on the way home which was lovely. Up top we say a dozen manta rays and dolphins – which was just magical. Click here to make a booking with Lady Musgrave Experience. Tours are $215.50 per adult and $115.50 per child (aged 4-14) or you can purchase a family pass for $599 (2 adults and 2 children). If you are keen to experience another island in the Southern Great Barrier Reef than head to Lady Elliot Island. Lady Elliot Island is considered one of the best snorkeling and diving destinations in Australia! Like Lady Musgrave Island, at Lady Elliot Island you will experience a range of animal encounters. You can see manta rays, whales and turtles. To reach Lady Elliot Island you will need to take a 30-minute flight from Bundaberg to the island. This is a popular day trip, or you can stay a few nights at the Lady Elliot Island Resort. Day trips include around 5 hours on the island and a range of activities such as snorkeling, glass bottom boats, lunch and full use of the resorts facilities. I am not much of a fisherman, but I hear that there is great fishing to be had in Bundaberg. You can fish in the calm seas from the coastline or in one of the many freshwater rivers and lakes. Bundaberg is said to be one of the best spots for hooking a freshwater Barramundi. From Bargara there is a great walking path which goes all the way to Mon Repos. The path is 6 kilometres in length and is an easy graded walk where you can explore sand dunes, mangroves, lagoons and rock pools. This is a great walk for the whole family. You can even take this path to see the famous Bundaberg turtles if you are keen! Just be aware that there is no lighting, so take a torch if you decide to take this path at night. Not sure what to see in Bundaberg on a rainy day? Head to the Kids Corner at the Bundaberg Regional Art Gallery for a few hours of arts and crafts. The Bundaberg Regional Art Gallery, or BRAG as the locals call it is in the centre of Bundaberg and is open from 10 am to 5 pm Monday to Friday and 9 am to 1 pm Saturday and Sunday. The best part – entry is free! When most people think of Bundaberg they think of Bundaberg Rum, including me! One of the most popular Bundaberg attractions would have to be a Bundaberg Rum tour. Visitors to the Bundaberg Rum Distillery can experience either the Bundaberg Distillery tour, the Museum or even make their own rum blend. The Bundaberg Rum factory tours (which are suitable for children) are 1 hour long and commence at multiple times throughout the day (10am, 11 am, 12pm, 1pm, and 2 pm). During a Bundy Rum tour you will see the fermenting tanks, wash column, condensers, pot still, maturation vats and bottling. At the end of the tour Mums and Dads will have the pleasure of tasting some the iconic Bundy Rum. Tour prices are $28.50 per adult, $14.25 per child or family passes are $71.25. Another iconic Bundaberg drink is Bundaberg Ginger Beer. You can join an interactive Bundaberg Ginger Beer Factory tour at the Bundaberg Barrell where you will learn the process of making the ginger beer, including a 15-minute holographic movie as well as a few taste tests along the way. There are 14 different flavors to try including lemon lime and bitters, sarsaparilla, traditional lemonade, guava, and the traditional ginger beer. The Bundaberg Barrell is located at 147 Bargara Road and is open daily from 9 am to 4.30 pm Monday to Saturday and 10 am to 3 pm on Sunday. Baldwin Swamp is an urban wetland in the heart of Bundaberg. It is the ideal place for families to go exploring with its walking trails, boardwalks and bridges through the wetlands. The wetlands are home to more than 150 bird species as well as insects and small mammals such as bandicoots and echidnas. By the parks entrance there is Lake Ellen Playground as well as bike and scooter tracks. You can enter the park via Princess, George, Totten, Steindl and Scotland Streets. Take a 2.5-hour cruise down the Burnett River onboard the Bundy Belle, a restored classic ferry. As you chug down the river you will see the trawlers unloading their haul at the seafood processing plants, yachts moored at the Bundaberg Marina and the local sites of the mangroves, farmland, Bundaberg Rum Distillery and the Bulk Sugar Terminal. The cruise includes commentary about the river’s history as well as morning or afternoon tea. Bundaberg River Cruises depart daily and costs $26.50 per adult and $10 for children (under 5’s are free). This one is for all the little train lovers, as the Bundaberg Railway Museum houses a wide range of railway items from the past and present. The museum is set inside Bundaberg’s first railway station, which was built in 1881 and items on display include photographs, uniforms, engine driver manuals, locomotive tools and a 1921 guard’s van and butter car, which is insulated with cow’s hair. The Bundaberg Railway Museum is open Tuesdays, Thursday and Saturdays between 9 am and 3 pm. I just love how Bundaberg have embraced the eat local concept. At all the restaurants and cafes, we visited it was clear that locals know exactly where their food is coming from! A great way to learn even more about the local food in Bundaberg is to join a Bundy Food Tour. This Bundaberg tour gives visitors an opportunity to meet with the farmers and others who are involved in the food production and hear about their stories and how they feed to region. Visitors can choose from 1 of 3 tours. Tours are held on Wednesdays, Thursdays and Saturdays and go for 4.5 hours. All tours meet at Alexandra Park Zoo and cost $79 per adult and $59 per child. Myla and I joined the Wednesday Moore-ish Food Tour. and met the creator and owner Suzie Clarke at 12.30pm at Alexandra Park. Suzie is absolutely lovely and from the moment we met her, we felt comfortable. As we boarded the mini bus she gave us some delcious passionfruit to try and gave us a run down of the places we were visiting that afternoon. The first stop on the tour was the Cha Cha Chocolate Shop. A lovely little chocolate shop in the heart of the Bundaberg CBD. We tried a few different pieces of chocolate before moving onto our next stop. Next up we visited the Chop Shop a local butcher. Here we met the owner Rick. It was kind of interesting to visit the Chop Shop as I had just had a smoked chicken sausage for breakfast at local cafe Indulge – and as I said menus in Bundaberg quite often say exactly where the food is from – so I knew the sausage from Rick’s. If I wasn’t travelling home on the tilt train I would have no doubt bought up big in the Chop Shop. Rick also had us try some delicious smoked ham which Myla went back for seconds and thirds! We then headed to Linda’s gorgeous Lime Farm, known as Bundy Limes. Such a gorgeous property where we how heard how Linda had bought the farm, built it up and the process of harvesting limes. 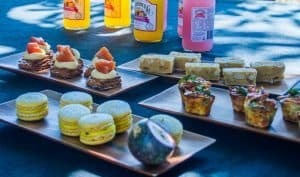 Here we also had a beautiful afternoon tea under a large shady tree and ate delicious pastries and cakes – once again from Indulge! We then stopped by the Pacific Gold Macadamia Nut factory were we got a sneak peak in to the factory as well as tried some yummy macadamia nuts. Next up we headed to Bundaberg Roses before our last stop at Pritchard Farms Sweet Potatoes. Our family eat sweet potatoes by the bucket load, so it was quite interesting to see how they grow and harvest sweet potatoes. The tour was very interesting, however probably not well suited for small children. Myla did get bored fairly quickly and started to play up a little bit. mind you we had had a busy morning also. Suzie is great though and really knows her stuff. She shares various stories about the farmers we visited along the way as well as other interesting facts about the food grown in the Bundaberg region. For lovers of all things lavender pop into Amandine Lavender Farm. Located in Bargara you will love the rows and rows of lavender bushes. Visitors can take a self-guided tour around the farm, enjoying the various features of the garden whilst learning how to grow lavender and its many uses. Afterwards enjoy some lavender infused ice-cream. 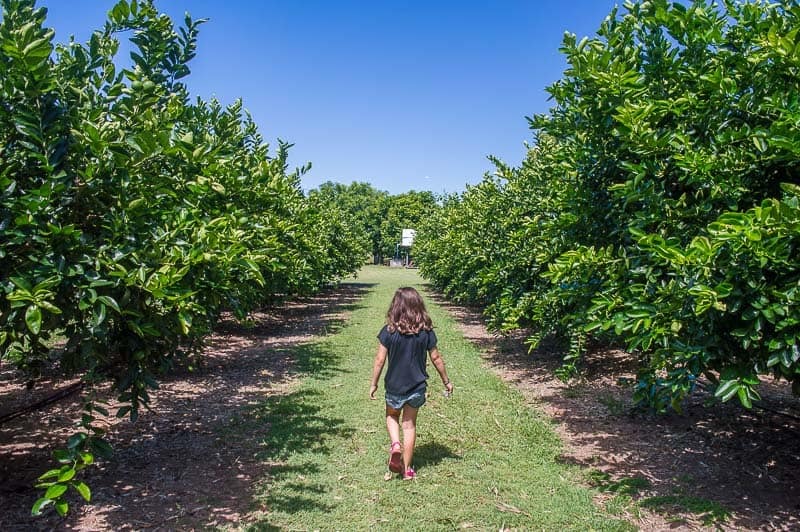 Amandine Lavender Farm is located at 288 Seaview Road, Bargara and is open 7 days between the hours of 10 am and 4 pm. 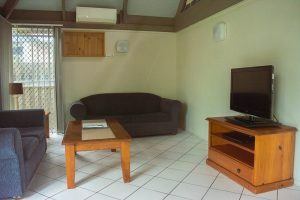 There is a wide variety of great family friendly Bundaberg accommodation options. Accommodation is available in Bundaberg hotels, resorts, caravan parks and apartments. Families can choose to either stay in the centre of the Bundaberg town or at one of the gorgeous Bundaberg Beaches. 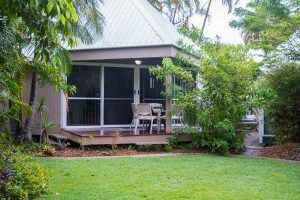 There are so many great options that I can’t cover them all, but in this post I will share with you some great options for Bargara accommodation, Bundaberg caravan parks and camp sites as well as Bundaberg hotels and motels. 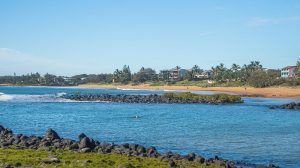 The seaside town of Bargara is one of the most popular areas for families when looking for places to stay in Bundaberg. Bargara has a great beachy vibe, great little cafes, bars and 2 good sized supermarkets. 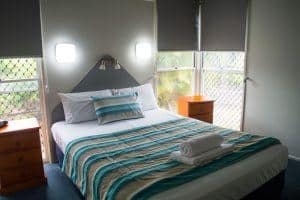 Accommodation options vary from both self contained and studio style rooms in resorts (Kellys Beach Resort, Bargara Beach Hotel and Bargara Blue Resort), to caravan parks (Baraga Beach Caravan Park, Turtle Sands Caravan Park and Absolute Oceanfront Tourist Park) and Bundaberg camping. 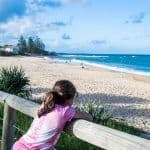 Check out below some great family friendly options for staying in Bargara. During our recent visit to Bundaberg we stayed at the gorgeous Kelly’s Beach Resort – and for families – you can’t get better than Kelly’s. From the moment we arrived I was impressed with the super friendly staff. Kelly’s is located in the south of Bargara and just a 2 minute walk to the main Bargara swimming beach. It is also just a short 5 minute drive from the Mon Repos beach making it ideal if you are after Bundaberg turtles accommodation. The resort is spread out over 5 acres of lush gardens, with self contained villas hidden among the greenery. As you wander along the pathways throughout the resort you will see a variety of wildlife – we saw stacks of bearded dragons during our stay. There is a lovely pool area with a children wading pool and spa. I also just loved the multiple BBQ areas which were dotted around the resort – just perfect for a family BBQ. The restaurant is open daily for breakfast from 7 am to 9 am and 6 nights (not Mondays) for dinner from 5.30 pm. Coffee and cake are also available each day. If you come during the school holidays there are activities especially for the kids. Kids pool activities are held on Thursdays and Saturdays from 4.30 to 5.30 pm with free face painting on Thursdays. There are free movies on Tuesdays, Wednesdays and Fridays. On Sunday nights they have star gazing and laser skirmish on Mondays, Thursdays and Saturday evenings. Other facilities include a sauna, games rooms, laundry, tennis court, kiosk and tour desk. Each air conditioned self contained villa is completely stand alone providing the ultimate in privacy. Each villa sleeps up to 6 people across 2 levels. Downstairs has a small living area, kitchen, master bedroom and bathroom, whilst up in the loft is 3 single beds. There is also a lovely deck out the front with an outdoor table and chairs. The kitchen is fully equipped for a family with everything you need to cook up a few meals during your stay including a large fridge, microwave, kettle, toaster, oven and crockery. There is a car park spot in front of each villa which is great for carting out all the kids stuff! 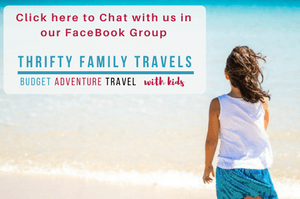 We throughly enjoyed our stay at Kellys Beach Resort and would highly recommend it for families, particularly with younger children. Kellys Beach Resort is well recommended on TripAdvisor with 80% of people rating it as excellent of very good. At the time of publishing the best rate for a family of 2 adults and 2 children was $202 on Booking.com. Click to check the latest prices or to make a booking. Click here to check the latest prices for Kelly’s Beach Resort or to make a booking. At the time of publishing the best price for 2 adults and 2 children was $212 on Agoda in a 2 bedroom apartment. Click here to check the latest prices for Bargara Blue Resort or to make a booking. At the time of publishing the best price for 2 adults and 2 children was $75 on TripAdvisor in a family room. 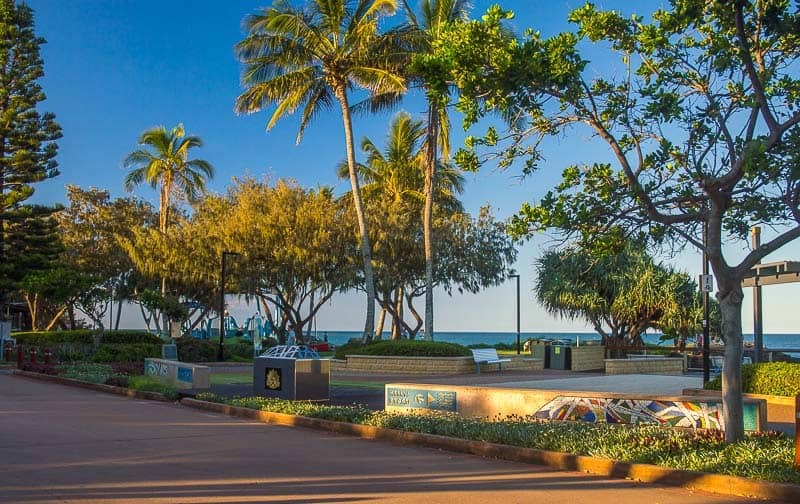 Click here to check the latest prices for Bargara Beach Hotel or to make a booking. Bundaberg Caravan Parks are a great option for families, particularly those on a caravan road trip or looking to camp. At the time of publishing the best price for 2 adults and 2 children was $172 on Booking.com in a 2 bedroom cabin. 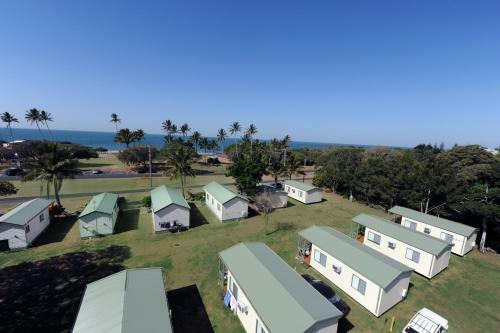 Click here to check the latest prices for Bargara Beach Caravan Park or to make a booking. At the time of publishing the best price for 2 adults and 2 children was $135 on Booking.com in a family cabin. Click here to check the latest prices for Big 4 or to make a booking. Contact the caravan park direct for a booking. At the time of publishing the best price for 2 adults and 2 children was $180 on Booking.com in a 2 bedroom apartment. Click here to check the latest prices for Alexandra Apartments Bundaberg or to make a booking. At the time of publishing the best price for 2 adults and 2 children was $145 on Booking.com. Click here to check the latest prices for the Matilda Motel or to make a booking. At the time of publishing the best price for 2 adults and 2 children was $155 on Booking.com. Click here to check the latest prices for the Rivieria Motel or to make a booking. 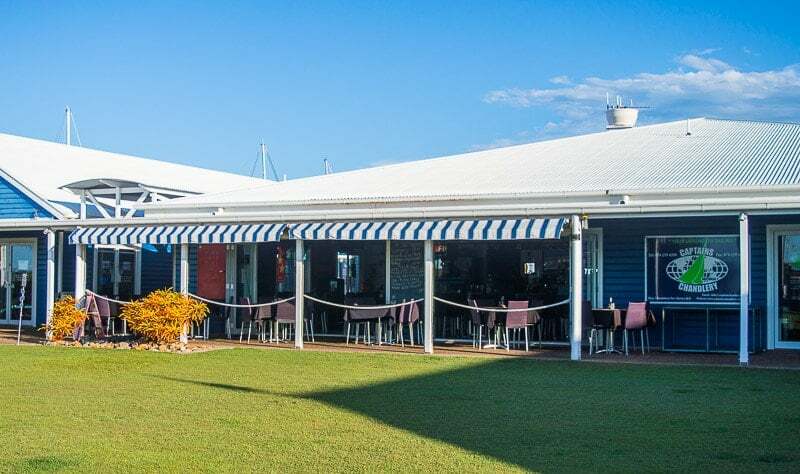 Located at the Bundaberg Marina, Baltimore Café is the ideal spot for fresh seafood. Stop in for some delicious fish and chips after a day out on the reef. Get take away so you can sit on the grassy area by the Harbour and watch the sunset. 69% of people on TripAdvisor rate it as above average. Located in the heart of the Bundaberg CBD, Indulge is a foodie’s heaven. I love how they follow the motto “we know where it came from and how it was made” – this is followed through on their menus with many of the dishes advising where they have sourced the ingredients. Myla and I had breakfast at Indulge and absolutely loved it. This is not your average bacon and eggs menu – expect to have a delicious gourmet meal which will keep you full for the entire day! I had sweet potato and potato hashcake, tomato relish, spinach, chop shops smoked chicken sausage and fig tree farms scrambled eggs (see how tell you where the sausage and eggs come from?). Myla had the kids pancakes which she devoured in seconds! This place is super popular – we arrived just before opening time and as soon as the place was opened at 8.30 am it was packed. Its nice how you can choose to sit in the cozy cafe or on the tables and chairs which spill out onto the sunny sidewalk. 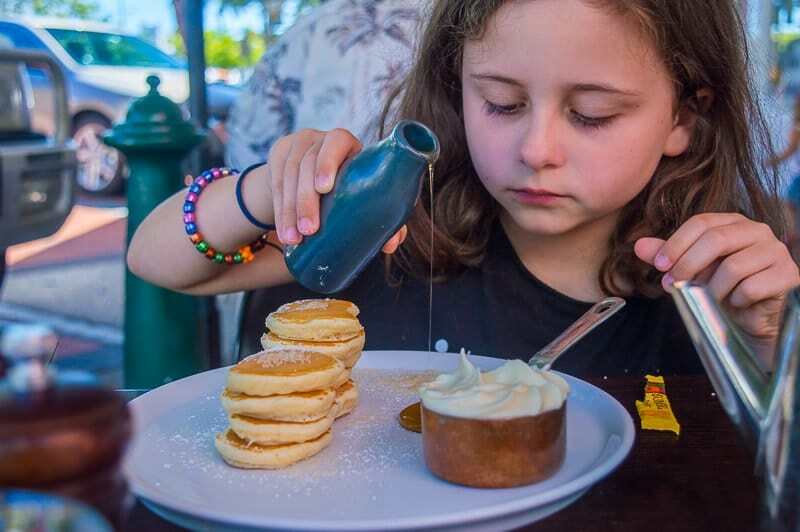 Indulge is also the ideal place to come if any of your kids have food allergies as they are happy to adjust the menu to cater for those in need of gluten free, dairy free foods as well as vegans and vegetarians. Indulge is located at 80 Bourbong Street, Bundaberg and is open for breakfast Monday to Friday 8.30 am to 11 am and Saturday 7 am to 12 pm. Lunch is served Monday to Friday from 11 am. 95% of people on TripAdvisor rate Indulge as above average. In fact 77% of people rate it as excellent. Alowishus Delicious is another fantastic cafe located in the main street of the Bundaberg CBD. Whether you are after some breakfast or lunch for eat in or takeaway the guys at Alowishus have you covered. Their menu is totally family friendly with a more traditional cafe menu serving a huge variety of burgers, baguettes, wraps, sandwiches and salads. These guys also have a great range of gelato, cakes and serve coffee too. 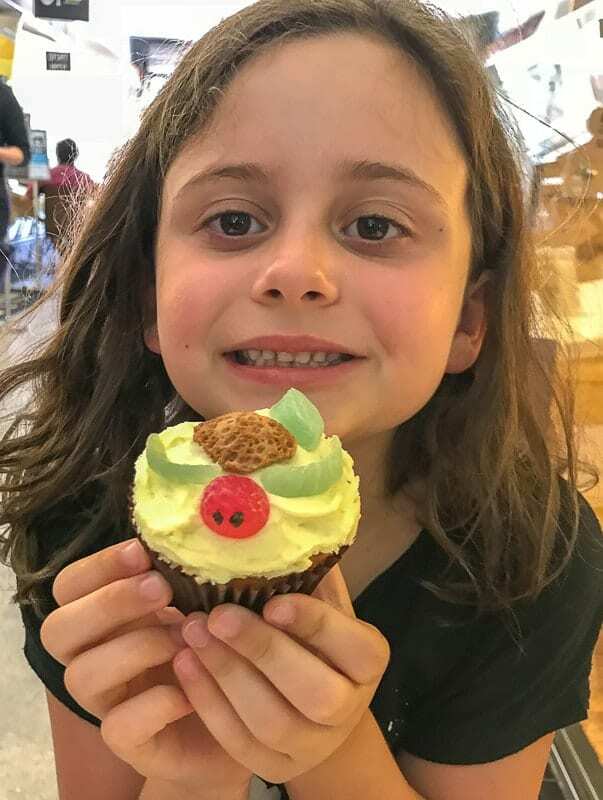 Whilst I only had a icy cold drink during our visit to Alowishus, Myla can personally vouch for the ice cream and cupcakes! She also found the staff so friendly that she gave our waitress a great big hug as we left! Even if you don’t have time to eat in, this is a great cafe to pop in for some sandwiches and wraps to take away on your way to the nearby Alexandra Park. Alowishus Delicious is located in Earls Court – 176 Bourbong Street, Bundaberg and is open all day every day serving breakfast, lunch and dinner. 88% of people on TripAdvisor rate Alowishus Delicious is as above average. Whether you are staying at Kellys Beach Resort or not you are welcome to come dine with them in their licensed restaurant. The restaurant is family friendly both in terms of the menu and set up of the restaurant itself. There is a huge range of typical pub style meals on the menu including gluten free and vegetarian options. During our stay Myla ate at Kellys once and enjoyed delicious beef lasagne, creamy pasta and salad. 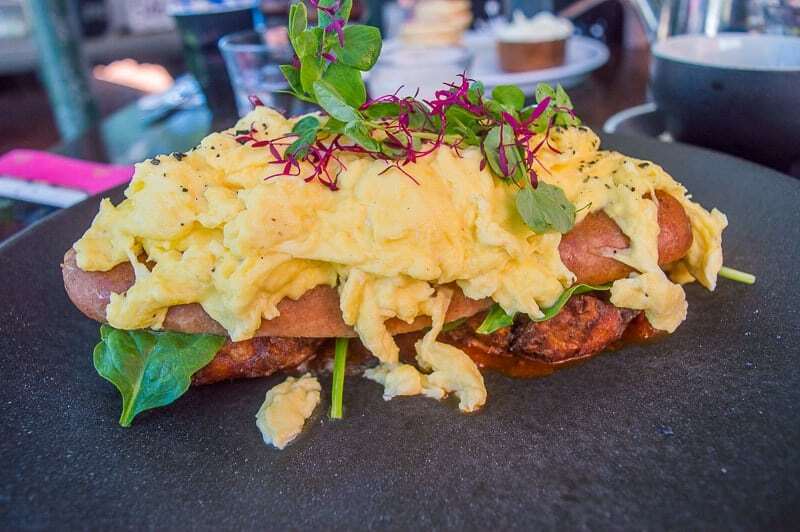 The restaurant is located at Kellys Beach Resort in Bargara and is open daily for breakfast between 7 am and 9 am and dinner is served Tuesday through to Sunday from 5.30 pm. 89% of people on TripAdvisor rate KBR’s as above average. My all time favourite place we ate at during our stay in Bundaberg was at the Windmill. As soon as I saw the gorgeous windmill, its lush surrounding gardens and chill back music I was in love! And that was before I even tried the food! The setting here is just gorgeous and absolutely perfect for families. There are a range of tables and chairs around the gardens of the Windmill and plenty of room for the kids to play whilst waiting for their meals. There is even a basket of toys for the kids to play with. Oh and its pet friendly too – so no need to leave the pooch at home. The menu here is somewhat similar to Indulge with delicious gourmet meals to choose from. They do have a better kids menu than Indulge though which is great for fussy kids. All meals are made with delicious locally sourced ingredients which we became so accustomed too in Bundaberg. They also cater for those with special diets including gluten and dairy free as well as vegetarians and vegans. 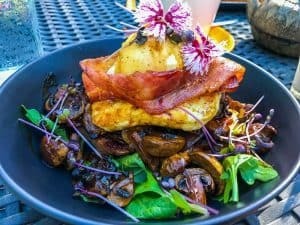 Myla and I popped in for breakfast and I had the Windmill Stack – seared and roasted halloumi, Barrit’s local bacon, Bronnie’s Worcestershire glazed mushrooms with a poached local free range egg served on toasted sourdough topped with Bronnie’s much loved Worcestershire Sauce. Whilst Myla had vanilla gelato and waffles. We both thoroughly enjoyed our breakfast. 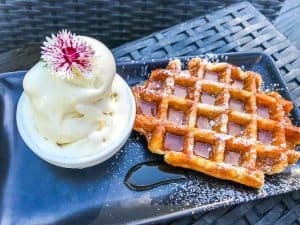 If you only have time or the budget to have one meal out during your time in Bundaberg – make it the Windmill – it is one of the best Bargara resturants! The Windmill Café is s located in Bargara at 12 See Street and is open for breakfast, lunch and morning and afternoon tea each day. They do often have pizza nights on the weekends with free entertainment too AND its BYO! 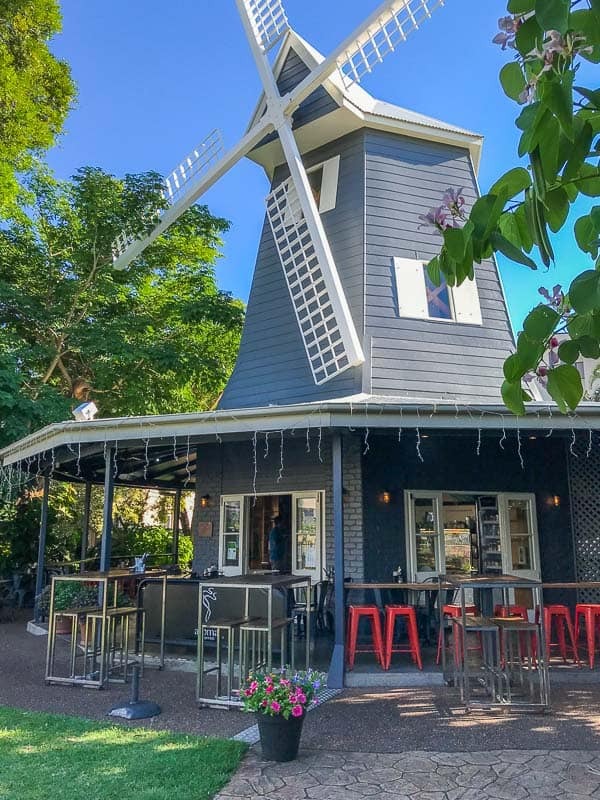 85% of people on TripAdvisor rate the Windmill at Bargara is as above average. 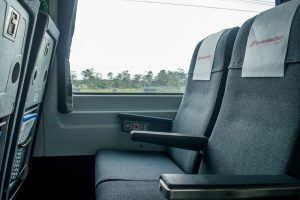 Depending upon where you are coming from, the best way to reach Bundaberg is to can either fly, drive or take the train. 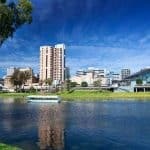 Given you will need a car once you are in Bundaberg to see the sights, the most common way people reach Bundaberg from Brisbane is to self-drive. The Brisbane to Bundaberg drive takes approximately 4.5 hours’ drive. Another option, is to fly. There are several flights from Brisbane to Bundaberg each day and the flight is only 1-hour. The Bundaberg Airport is only a short drive from the city centre. For our recent trip to Bundy, Myla and I took the Tilt Train. For me I loved not having to drive the long distance, and Myla had plenty of room to do activities during the long journey. There are two trains that make the trip between Brisbane and Bundaberg – the Spirit of Queensland and the Tilt Train. The Spirit of Queensland travels between Brisbane and Cairns, whereas the Tilt Train travels between Brisbane and Rockhampton. Both trains make various stops including Bundaberg. The journey takes approximately 4.5 hours – the same duration as driving. The Tilt Train departs Brisbane (daily except for Wednesdays) at 11 am and arrives in Bundaberg at 3.31 pm. There is an additional service which leaves Brisbane (daily except for Saturday) at 4.55 pm and arrives in Bundaberg at 9.25 pm. The Tilt Train leaves Bundaberg (daily) at 10.05 am and arrives in Brisbane at 2.50 pm. There is an additional service which departs Bundaberg (daily except for Wednesdays and Sundays) at 5.15 am, arriving in Brisbane at 9.55 am. The Spirit of Queensland departs Brisbane (daily except for Thursdays and Sundays) at 3.45 pm and arrives in Bundaberg at 8.19 pm. The train leaves Bundaberg (daily except for Wednesdays and Sundays) at 4.03 am and arrives in Brisbane at 9.20 am. There is no check in process as such, provided you have your ticket / booking you just jump on the train with your luggage once it arrives. The Tilt Train arrived about 15 minutes before our departure, we boarded with our luggage. For larger pieces of luggage there are racks just inside the carriage once you board. You can take smaller luggage items with you to your seat and place in the over head lockers or place on the floor by your feet. We boarded the train in no time, found our seats easily and got settled in for the ride. The seats on the Tilt Train are extremely comfortable and spacious. There is a stack of leg room – we had our day pack on the floor and there was still heaps of room. There are moveable arm rests, which you can move out of the way to get comfy or if small children wish to lean on you. There are large windows for watching the sights go by and a curtain if you need to block the sun out. Seats also have a good size tray table for eating or doing activities – it easily fitted my MacBook Air (where I am typing this right now!). No sooner has we departed when an attendant came through the carriage taking orders for lunch. There are hot meals available for $9.50 or sandwiches and wraps for around $5.50. We ordered some hot meals on the way to Bundaberg, which were delivered at 11.50 am. Otherwise you can just wait for the trolley which came around at 12.15 pm and purchase per-made sandwiches and snacks. There is also a Galley which serves pies and sausage rolls. On our way to Bundaberg, the Galley did not open until 12.45 pm and only stayed open until Gympie. There is no real entertainment on the Tilt Train. There are TV monitors in the aisles which played 1 movie. Similar to planes you plug in headphones which are provided to hear the movie. Our saving grace was free wifi – which is fantastic for both parents and kids. Myla had her iPad with movies and watched a little YouTube – whilst I was able to work on this article. Click here to check fares, timetables and to make a booking. You will definitely need your own car to get around and see all of Bundaberg’s main attractions. If you arrive by trail or plane then you will need to hire a care, we got our car rental from Budget Car Rental. Myla and I absolutely loved our few days in Bundaberg. This is such a great destination for families looking for a laid back beachy holiday. 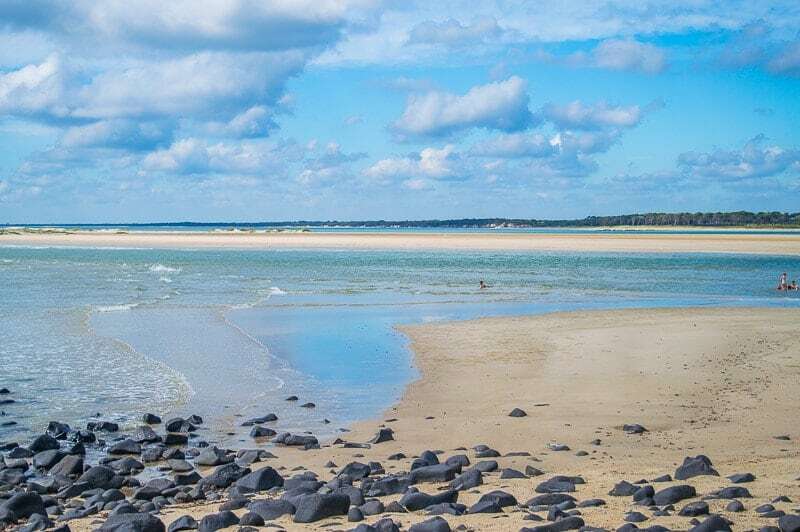 There are plenty of activities to keep you busy for a few days to a week – you could just as easily spend the entire time on the lovely beaches. I was also super impressed with the delicious food in Bundaberg. These guys know their stuff when it comes to delicious gourmet meals and I just love the whole concept that these guys source their food from the local farmers and so know exactly what they are eating. I am so excited to come back to Bundaberg and spend a week or so here relaxing and eating my way around. Thanks so much to Queensland Rail Travel, Kellys Beach Resort and Bundaberg North Burnett Tourism for hosting us in Bundaberg. As always, all opinions expressed in this blog are my own and have not been influenced in anyway. Thanks for sharing this list of attractions in the Bundaberg region. Bundaberg is one of our favourite places to visit and it has so many attractions on offer. The beaches are beautiful and of course no visit would be complete without a visit to the Rum factory.